Home Features Meet The Maker What Does an Embellishment Designer Do? Have you ever wondered what ‘embellishment design’ is? Or what an embellishment designer does? Very few people understand fully what is involved. Those that do, are usually people from within the industry or embroider as a hobby. I have been an embellishment designer for over 7 years. I actually even have a degree in it too. Since graduating, I’ve been on a mission to explain and educate what an ‘embellishment designer’ is all about. What does an Embellishment Designer really do? If you’re familiar, or even fans, of Dior and Elie Saab’s work you would have noticed that many of their high couture outfits have beadwork embroidery on them. An embellishment designer would be the one who designs and puts this work into work. Our job is to come up with the research, create fashion samples and technical packs ready for fashion sampling. Then we liaise with the embroidery workers and factories, working on the design, to get these ready for production once the sample has been approved. If you love embroidery and have ever wanted to incorporate embellishment designs into your range, but didn’t know how to start, what to do, what to prepare for factories to get the work started, how to accurately brief them for a smooth sampling and production process – then read on. It’s so important to have embellishment research images collected as these will help when trying to give clear instructions to the factory. This stage also helps with designing too. I usually select 2-3 images, circle areas I am inspired by, and combine them together, changing the colours and placements so that I’ve got something completely different from the images. Also, this helps to avoid the common mistakes of copyrighting issues. This is my favourite part, this is where you create something called an ‘artwork & key’. This is where you create something called an ‘artwork and key’. This is an accurately drawn design whereby you draw the correct size of the beads, sequins or anything you’re using for your surface embellishment design. If it’s a row of beads in the shape of a flower, then you make sure the flower is in the correct scale you want it to be on the garment. The best way to do this is by tracing out a copy of the pattern piece of your garment (only the section you want to be embellished) and drawing directly onto it so you can visually understand if you are happy with the scale of it on the garment. I usually hold it up against a mannequin or person to see if the drawing is too large or too small etc. But, the beads you draw out will always need to remain to the correct scale. I use a shape stencil to draw out different measurements of circles quite quickly, saving me time from measuring my hand-drawn circles as I used to do when I first started out. The key is the term commonly used to describe the process of colouring in all the shapes that represent different beads or embellishment techniques. It is really like a legend on a map explaining a given colour and shape corresponds to in reality. The best method to follow for the “bead/component” section is sticking down the exact beads you’d like them to use, but you can give them different “colour” and “size” instructions so you’re not hunting for these yourself. factories have access to so many sizes and colours of beads so don’t feel shy to use their resources! Once you’ve created your technical pack, you want to include the research imagery you initially used for your inspiration. This should be included in the technical pack so it gives the factory an understanding and feel of what you have envisaged. Trust me this works a treat and helps them so much. The last thing we want to do is make their work difficult for them and allowing room for errors. Lastly, you should then expect to have your initial sample back from the factories within 2-4 weeks (depending on what they’ve quoted). Once you have the actual sample, it is time for you to make comment notes and give feedback on the sample. Ideally, it’s a great idea to have all your samples sent in advance and then arrange a visit to your factory. Visiting in person (when and where possible) allows you to get involved with the process by advising and adjusting as its being created in front of your eyes. This could possibly feel costly because of any travel costs potentially incurred, but think about the bigger picture. If you are working on an important project or have a large production being worked on, a visit to your manufacturers could save you stress, unnecessary costs, frustration and you get to walk away with exactly what you wanted. If you’re working with a factory for the first time, it is imperative that you visit them from the beginning, before you have even started working with them, if possible. The idea of the trip would be to get to know them and their style and way of work. It’s always good to know who you’re working with, what conditions their staff work in and “put a face to the name” as they say. Once you’ve established a good relationship and understanding, you won’t need to visit frequently as you would have a better understanding of how they work and operate. Knowing who you work with can come in handy when things don’t go the right way. from personal experience, I can confirm that frequent contact and addressing miscommunication early on, has helped greatly as I work with new clients and on new projects. I hope this inspires you to try it out for yourself the wonderful art of embroidery. 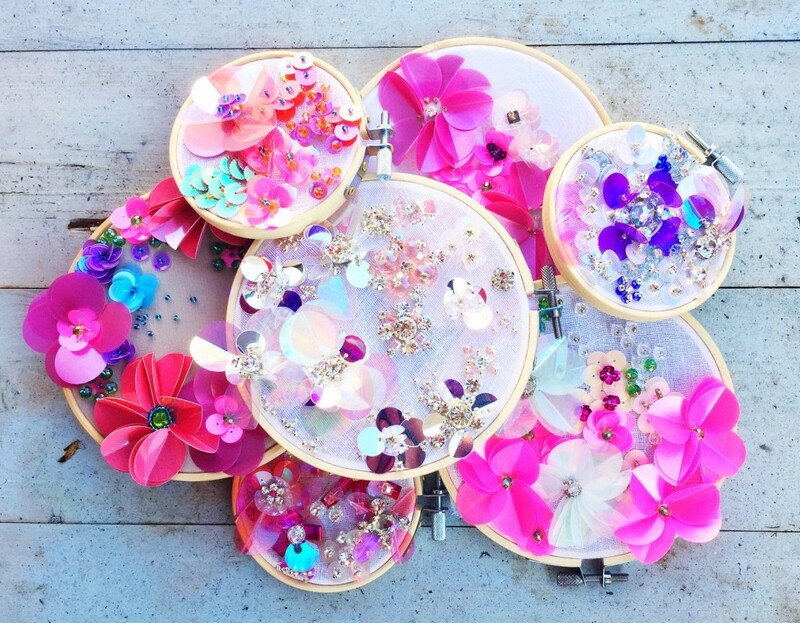 Who knows what wonderful embellishments you will create. You can even join me on my mission to make the appreciation for embellishment designers better known. Let’s be the ones educating our peers and reviving this beautiful trade. This is a guest post by Burcu Kilic, a London based Hand Embellishment & Design Coach. She graduated from UAL, London College of Fashion in 2011, with Fashion & Textiles degree, specialising in embroidery/embellishment design. She has created embellishment designs for well-known brands like Debenhams, Monsoon, Evans and ASOS.com. 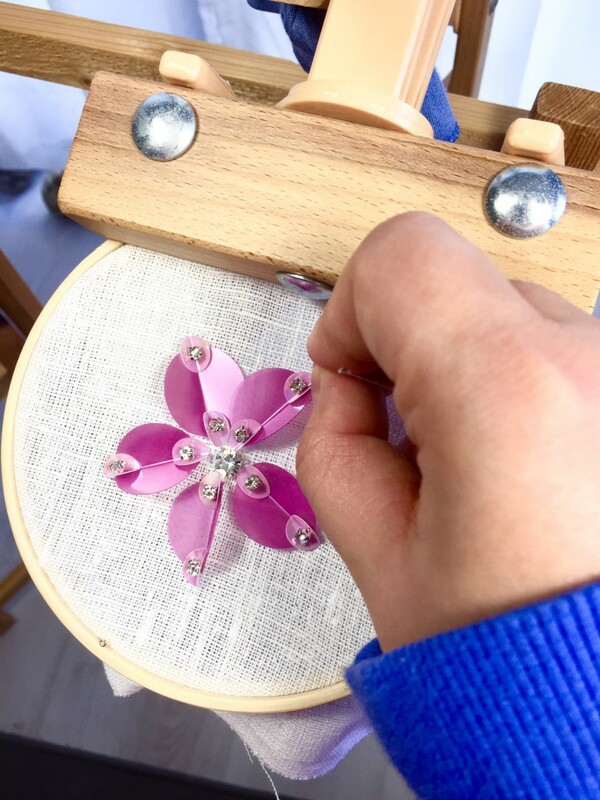 Since November 2018, she offers courses and lessons in embroidery to enthusiastic women and young girls who have the interest to learn more as a hobby or further their professional skills. If you want to submit an article to Fashion Insiders then please fill this form. Next articleWhy do so many fashion brands fail?